"More Tennesseans died last year from drug overdoses than from automobile crashes. Few of us have escaped a direct impact of this crisis in experiencing the tragic death of a family member, loved one or friend," said TDH Commissioner John Dreyzehner, MD, MPH. "The good news is this has spurred us collectively to more action than ever before, and while prescription drugs still account for the majority of deaths, there is new hope on the horizon in many areas. Prevention works, stigma is decreasing, treatment is effective and people get better." The recently released TDH data show almost three-fourths of drug overdose deaths in Tennessee in 2017 were associated with opioids. There were 1,268 overdose deaths associated with all opioids; of those, 644 were associated with prescription opioids for pain, which accounted for more overdose deaths in 2017 than any other group of drugs. "Our analysis of Tennessee drug overdose deaths underscores the need for our aggressive efforts led by Governor Bill Haslam to end the opioid crisis in our state by focusing on prevention, treatment and law enforcement," Dreyzehner said. 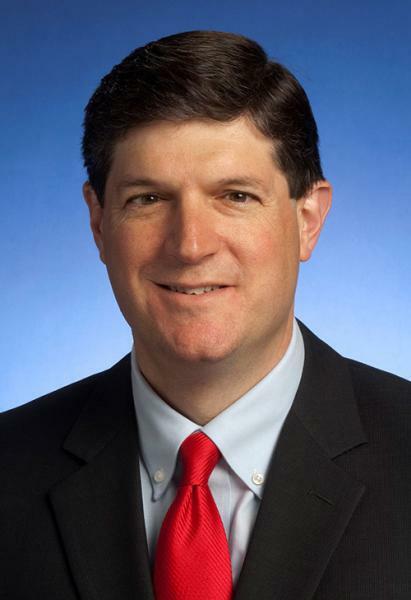 "Legislation to place reasonable limits and appropriate exceptions to the supply of prescription opioids to new patients, provide additional treatment resources for those struggling with substance abuse and implement new teaching and training protocols for healthcare providers will make a positive difference in the lives of Tennesseans." Also of note, deaths related to "street" drugs obtained without a prescription were a key driver of the increase in overdose deaths last year. There has been a dramatic increase in deaths related to fentanyl. Heroin was associated with the deaths of 311 Tennesseans in 2017, a 20 percent increase over the previous year. Fentanyl was associated with 500 deaths, a 70 percent increase since 2016. Nashville-based JourneyPure, a leading provider of addiction treatment services for patients from across the nation, recently announced a significant expansion of its treatment network with the addition of 10 outpatient centers during 2018. Through a combination of inpatient facilities, outpatient centers and proprietary coaching services and technologies, JourneyPure delivers a full continuum of integrated services. "JourneyPure specializes in treating individuals suffering from co-occurring mental illness and substance abuse disorders and recognizes that most people can be treated effectively and efficiently on an outpatient basis," stated JourneyPure CEO and co-founder Kevin Lee. "The addition of these 10 outpatient addiction treatment centers reinforces our commitment to the long-term recovery of our patients by providing a full continuum of services to support their needs." The new outpatient centers include six locations in the state of Tennessee: two in Nashville, two in Knoxville and one each in Clarksville and Franklin. Additionally, two centers were opened in Kentucky (Louisville and Lexington) and two in Florida (Fort Walton Beach and Orlando). With these 10 new centers, JourneyPure now operates a total of 19 outpatient centers. Last month, Aegis Sciences Corporation, a leading national healthcare testing and consulting service headquartered in Nashville, launched AcuRiseID™. The new tool offers informative medication monitoring testing for those being treated for mental illness and substance use disorders. The test provides clinicians with objective insight to help identify whether a patient is being consistent with their course of therapy and monitor dosing effectiveness. One in five adults in the U.S. experience some form of mental illness each year, and one in 25 experience a serious mental illness. Similarly, it is estimated that one in 12 - more than 20 million Americans - have a substance use disorder. While medication can be effective in treating mental illness and substance use disorders, research shows that less than 50 percent of people take their medications as prescribed. The non-invasive AcuRiseID can be administered during regularly scheduled appointments with doctors, clinicians, therapists and counselors. Once the urine sample is collected, it is sent overnight to Aegis' clinical laboratory where scientists test for medications within two distinct profiles - mental health and substance use disorder. Extensive results are ready within 96 hours and are reported via fax, a web portal or electronic medical records. Clinical pharmacists are available to interpret results and answer questions. The AcuRiseID mental health profile tests for more than 40 medications including those used to treat schizophrenia, ADHD, anxiety, bipolar disorder, and depression. The substance use disorder profile includes more than 30 drugs including amphetamines, benzodiazepines, and opioids. It helps clinicians know if their patients are taking substances - prescribed or illicit - that may hinder their recovery. Clinicians can personalize testing orders for different use-cases to best fit their needs, which is especially important when treating individuals with co-occurring mental illness and substance use disorders. "There are incredibly effective therapies for even the most serious mental illnesses, but no medication can be effective if it isn't taken. Similarly, recovery from substance abuse can be derailed by taking the wrong medications," said Aegis CEO Frank Basile, MD, MBA. "AcuRiseID is a valuable tool for clinicians working with those with behavioral health disorders. It takes conjecture out of conversations about therapeutic adherence, helping people and their providers have more productive conversations about their challenges and concerns." On Sept. 17, the U.S. Senate passed The Opioid Crisis Response Act of 2018. 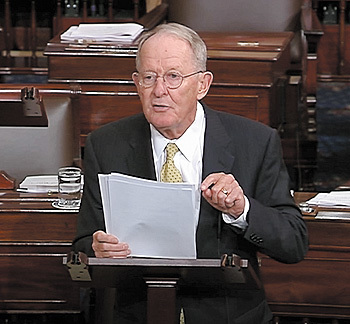 The legislation, which was authored by Senators Lamar Alexander (R-Tenn.) and Patty Murray (D-Wash.), who lead the Senate Health Committee, had bipartisan support. The House had already passed its version of the act and work is now underway to reconcile the two. More early intervention with vulnerable children who have experienced trauma. Tom Nickels, executive vice president of the American Hospital Association, said he was encouraged that several provisions will help hospitals fight the epidemic. However, Nickels continued, "we are extremely disappointed that the Senate failed to include in its legislation two provisions that would expand access to treatment and improve the coordination and safety of care. The bipartisan Overdose Prevention and Patient Safety Act (H.R. 6082/S. 1850) would improve communication related to vital substance use disorder (SUD) treatment information. It passed the House overwhelmingly because it eliminates barriers to coordinated care for people with SUDs, while increasing penalties for inappropriate sharing of information and protecting those same patients from discrimination. "The Senate bill also fails to address the Institutions for Mental Disease (IMD) exclusion, the law that prohibits states from using federal Medicaid funds for the care of patients 21-64 years old in residential mental health or SUD treatment facilities with more than 16 beds. The House passed bipartisan legislation to provide for up to 30 days per year for opioid and cocaine use disorder treatment services in an IMD." Last month, U.S. Surgeon General Jerome M. Adams, MD, released the report Facing Addiction in America: The Surgeon General's Spotlight on Opioids, calling for a cultural shift in the way Americans talk about the opioid crisis. The report also recommends actions to prevent and treat opioid misuse and promote recovery, along with the latest data on prevalence of misuse and overdoses. "Addiction is a brain disease that touches families across America - even my own," said Adams. "We need to work together to put an end to stigma." The National Association of County and City Health Officials (NACCHO), representing nearly 3,000 local health departments, has come out with strong support for Adams' approach, noting local health departments are on the front lines of this public health crisis and are important community partners working across multiple segments including hospital systems, healthcare delivery, mental health and substance abuse, social services, emergency services, and law enforcement, to address the opioid epidemic. The full report and recommendations are available here. Last month, Brentwood-based CleanSlate Outpatient Addiction Medicine announced healthcare veteran Robert Hutchison as the company's new chief financial officer. CleanSlate helps patients achieve recovery from opioid use disorder and alcohol use disorder in 10 states through 47 outpatient addiction medicine centers. With more than 25 years of experience in healthcare finance, Hutchison has served as CFO in the urgent care sector for several organizations including FastMed Urgent Care and U.S. HealthWorks. He earned both a bachelor's degree in accounting and a master's in finance from the University of Alabama. Hutchison is also a graduate of the Harvard Business School Advanced Management Program for business, strategy and leadership. On Sept. 21, Cumberland Heights celebrated the grand opening of the Spring Hill Outpatient Recovery Center, bringing the organization's outpatient centers to 11 across the state. Cumberland Heights CEO Jay Crosson noted, "Outpatient recovery programs are flexible to meet the needs of professionals and busy parents working through drug and alcohol addiction issues." The outpatient centers feature a 12-Step based recovery program and offer education and support to practice a recovery lifestyle. In other news, Cumberland Heights announced two new hires last month impacting clinical research and outreach efforts. 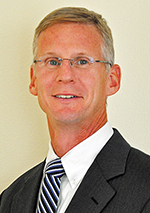 Nick Hayes, MS, LMFTA (TX), LCDC (TX), has been named director of Clinical Research and Outcomes. He will focus on efficacious treatment protocols, predictive analytics, feedback-informed treatment procedures and collaborations with institutions of higher education for all of Cumberland Heights, including in-patient and outpatient treatment programs. Hayes holds dual licensure as a marriage and family therapist and chemical dependency counselor and has advanced training in quantitative methods, neuro-analysis and systems theory. 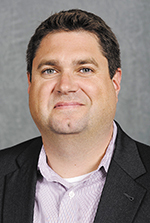 Greg Snodgrass has been tapped as coordinator for regional outreach. In this role, Snodgrass will serve as the liaison between Cumberland Heights and a variety of referral sources to ensure seamless and timely admissions, as well as treatment and continuing care services for patients and families seeking help with addiction. 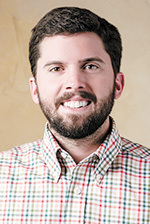 Living in recovery after completing treatment 14 years ago, Snodgrass helped design and implement Collegiate Recovery at the University of Alabama and served as director of the program. He also served as national director of Corporate Relations and Sponsorship for the Association of Recovery in Higher Education.